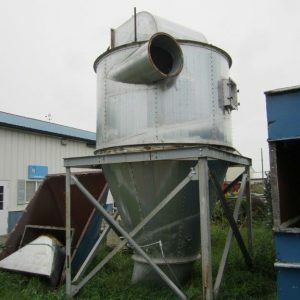 Cyclone dust collectors are used to separate the larger particles from the fine dust particles and air flow. 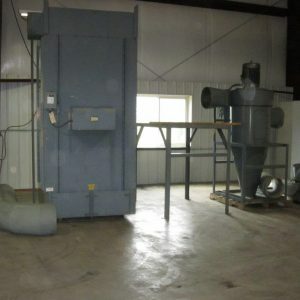 They are also useful for a high volume of dust collection. They can be used as stand-alone units or as a pre-filter for another collector and are effective for high pressure and high temperature uses. Dirty air enters the cyclone, where centrifugal force pulls larger particles to the walls, separating them from the air flow. The particles then fall down to the hopper, for collection, while the clean air then leaves the unit. 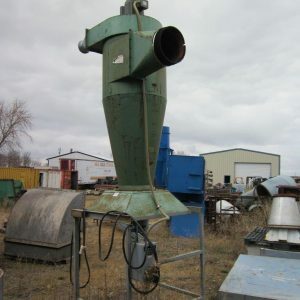 Cyclones can be useful in a range of applications including: polishing, fiberglass and plastic work, buffing, woodworking or sawing, bulk powder, machining, and conveying.